Earlier this year Conshohocken Brewing Company announced they would be adding a brewpub in Bridgeport, PA. Here is an article on PhillyMag that was out in January: Conshohocken Brewing is Adding a Brewpub. 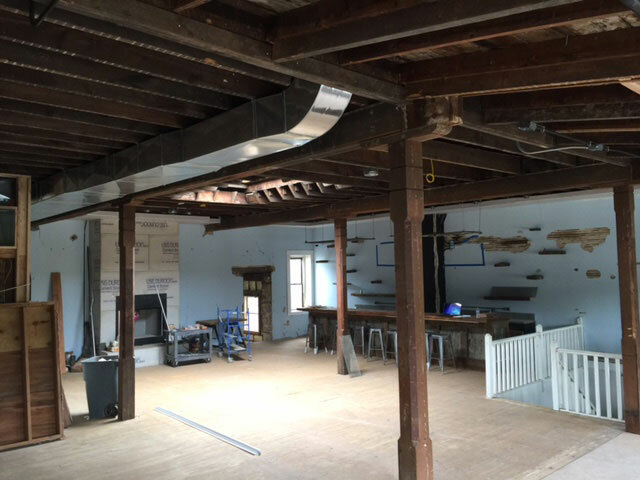 As an update…here are some recent photos of the progress on the project as HRA builds out this new brewpub in Bridgeport, PA.
Construction is underway at the LACABRA brewpub on Lancaster Ave. in Berwyn, Pa. 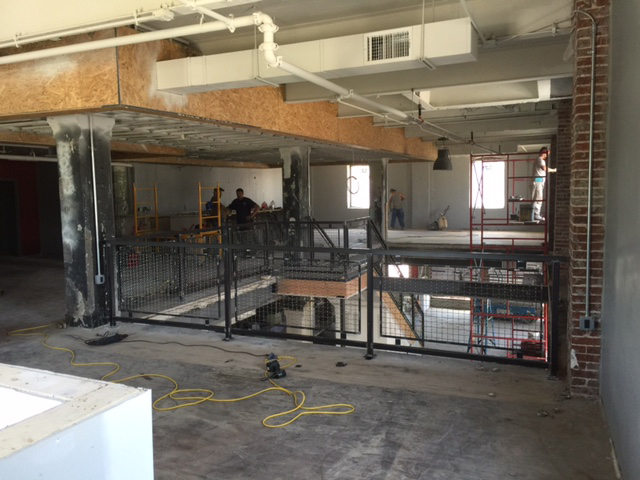 The existing 6000 sf building has been completely gutted and the interior fit-out and mechanicals are ongoing. The brewpub will feature a wide range of specialty beers from a 7bbl direct fire brew house and will include an extensive barrel aging program. A Latin-inspired menu will feature smoked meats and creative twists on pub classics. The interior design, with natural and reclaimed finishes will present a unique dining experience. 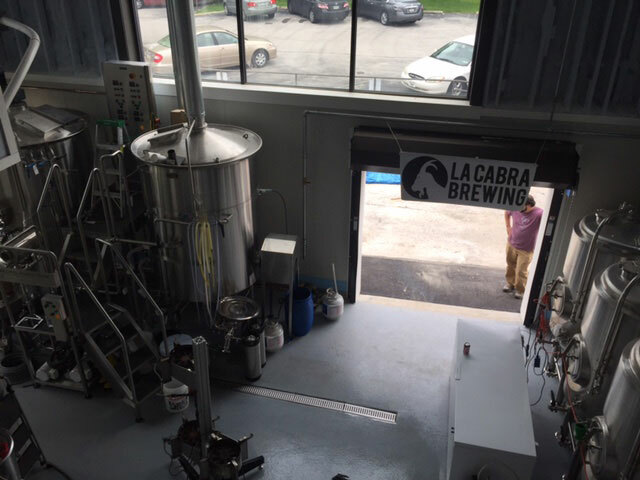 Lacabra is utilizing the HRA “Brewpub Playbook” method. From site selection to brewing beer. 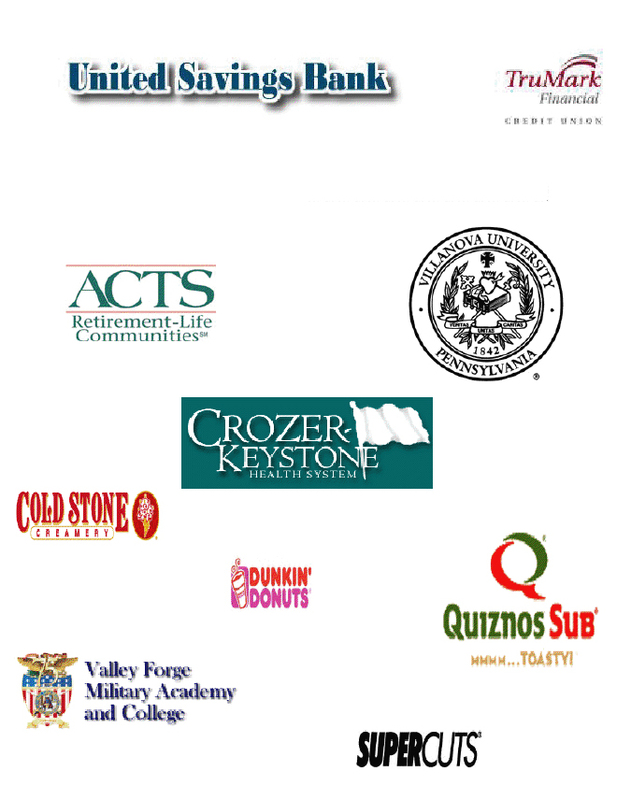 HRA packages all the required services to produce the most time and cost efficient path to opening a brewing business. 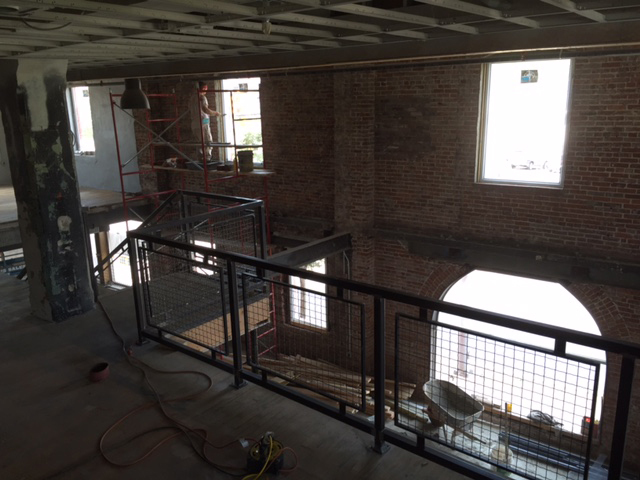 STYLE: REUSE OF EXISTING STRUCTURES, 2 FLOORS, MEZZANINE VIEW OF BREWERY, RUSTIC, RECLAIMED FINISHES, 2 BARS. BRIEF: A former futon store, the new home of Lacabra brewing has undergone the most extensive demolition and reconstruction of our recent projects. The original structure with 2 rear additions dating to the late 1800’s, was gutted and rebuilt from the inside. 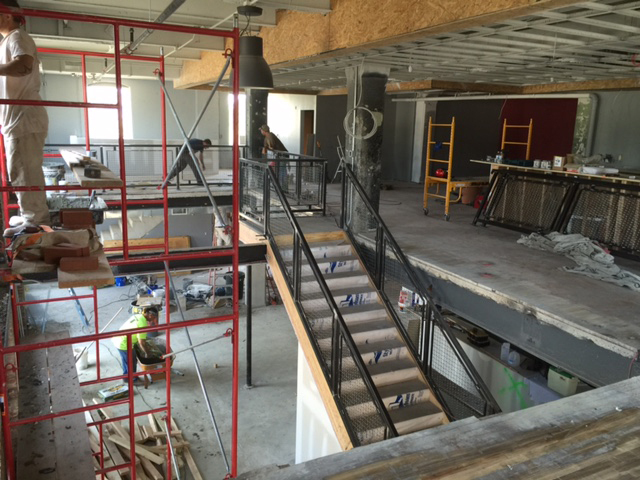 Extensive framing and foundation work have created a unique 2 story brewery space with a mezzanine dining area overlooking the tanks. The two floors have different characters with the first showing dramatic steel beams, columns, stone walls, and roll up glass doors. The second floor is an expansive space with wood columns, beams, ceiling joists, large dramatic skylight, stone fireplace, and performance stage. Reclaimed materials are featured throughout. HRA lead the space planning, design, and finish selections through the entire project. From concept to completion, Lacabra brewing was built by the HRA “brewpub playbook” method including the selection of the architectural, kitchen service, brew house design professionals, and full project management.